Yahaya began his career in dance with a Cote D’Ivoire’s leading African ballet companies. He has spent the past 21 years working as lead dancer and choreographer for dance companies in the United States, as well as teaching modern dance, ballet, African dance, and music. He has performed at Disney’s Epcot Center, Bush Gardens Dark Continent, and Kulu Mele Dance Company. 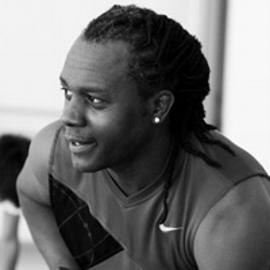 He currently teaches at Alvin Ailey American Dance Theater and has taught for many prestigious dance companies such as Mark Morris Dance Group in New York City and Chiku Awali African Dance Company of Rockland. In fact, Yahaya was the first instructor of African dance for Chiku Awali in 2003. Welcome back Yahaya.